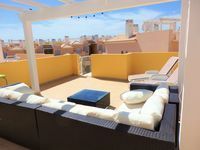 Algarve Luxury Penthouse nr Golf & Beach, sleeps 6- SUMMER SPECIALS AVAIL NOW ! Property 1: Algarve Luxury Penthouse nr Golf & Beach, sleeps 6- SUMMER SPECIALS AVAIL NOW ! Large Luxury Penthouse Apartment in Cabanas De Tavira Algarve Portugal, quality. Property 5: Large Luxury Penthouse Apartment in Cabanas De Tavira Algarve Portugal, quality. Two bedroom, fully equipped, self catering apartment with shared swimming pool. Property 15: Two bedroom, fully equipped, self catering apartment with shared swimming pool. A good house with 2 bedrooms 2 bathrooms, air con, and communal pool. Property 19: A good house with 2 bedrooms 2 bathrooms, air con, and communal pool. Excellent 2 bed room 2 Bathroom apartment with pool, air-con and wifi. 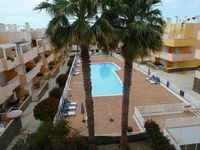 Property 31: Excellent 2 bed room 2 Bathroom apartment with pool, air-con and wifi. Spent 11 days on our first trip to Portugal for a winter respite and we were not disappointed. The apartment is new, spacious and well-equipped. The location is easily accessible from the N125 and within walking distance to shops, restaurants and sites with old world charm. A few minutes drive to the town of Tavira on the river with plenty of activity. We really enjoyed our time in the condo and were met by friendly property manager, Francis, who was most helpful with suggestions for seeing and enjoying the area. We will recommend this unit to our friends who are looking to escape the northern US winters. Lovely apartment. Great, quiet location. Peter and Charmaine were very helpful with local info and responsive to our needs. We had wonderful sunny days for our time. The rooftop balcony is great is the morning.